Browse: Home / iptv v1.2.2 – search and brute force illegal iptv server. Changelog v1.2.2: Fixed HTTP error 503 by injecting common browser headers. 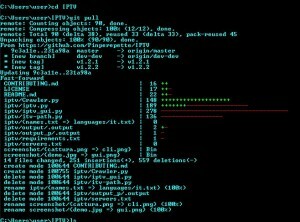 IPTV is a simple python script that let you crawl the search engines in order to fetch those sites that stream illegal tv programs. This script leverage the fact the a lot of those sites use the same CMS to create the web application and sharing the service, behind a CMS there’s always some exploits. We are using one simple exploit to grab and crawl the site’s url and use for our purpose. ← MTS is a OpenSource Multi-protocol tester for IP-based protocol.